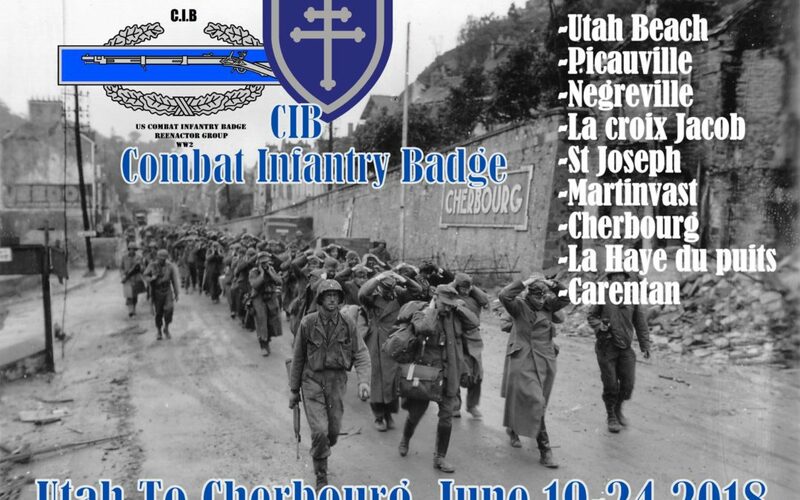 Utah to Cherbourg will be a major event of the 74th anniversary of the Battle of Normandy. It will take place from 19 to 24 June 2018 in the Cotentin and will aim to reconstitute a “reconnaissance” element (including 1 armored car and 1 scout section) and an element “infantry” (with 2 rifle squads) in the colors of the 79th Infantry Division “Cross of Lorraine”. The exact route of this division will be taken from Utah Beach, via Picauville, St Joseph, The Jacob Cross, Negreville, Martinvast, Cherbourg, The Hague Well and Carentan. Participants will be fully independent for 5 days, total immersion, whatever the weather conditions! The infantry and the reconnaissance will have their objective to reach at the end of each day, the rifles squads will make between 8 to 10 km / day on foot and they will also be conveyed in GMC.